“Salty has his own cabin so can be regularly seen peering out of his window at whomever decides to pass.” Sounds like the life to us. 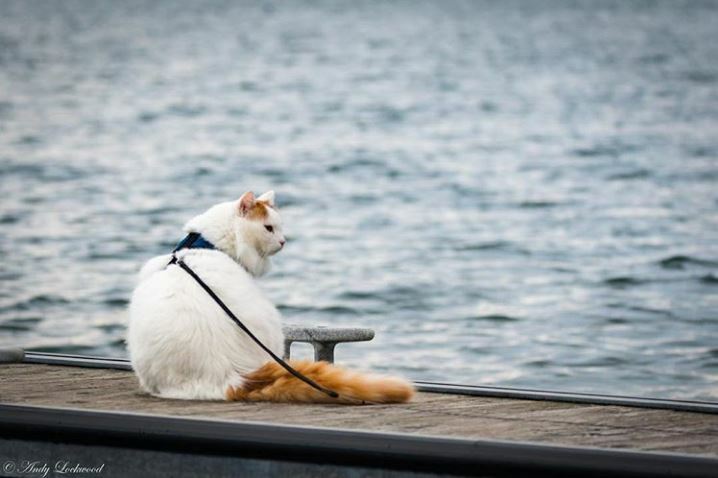 There’s nothing quite like being out in the fresh salt air traveling over the high seas and for one cat it seems has the heart a sailor. 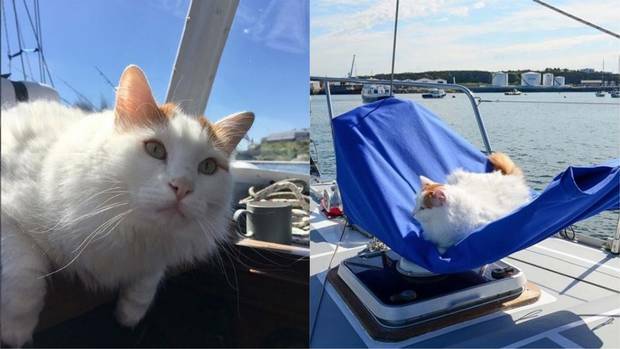 When Bernadette and Andy sold their house and moved onto the 43ft yacht they had restored, Neo, a four-year-old Turkish Van who is affectionately called “Salty,” and buddy, springer spaniel, Pippa, went along for the permanent cruise. Already they have visited Somerset, Plymouth, Cornwall, Wales, and the Western Isles of Scotland, all the while sharing their adventures on Instagram. 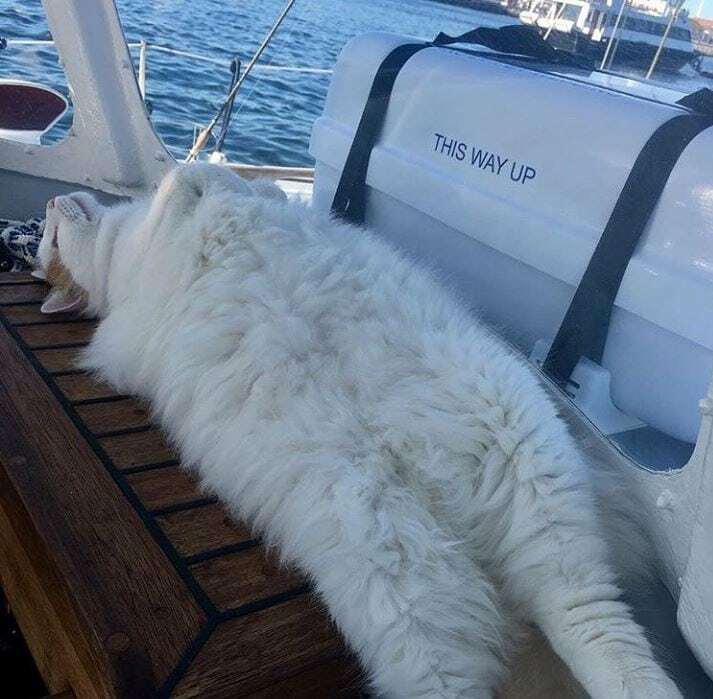 “He enjoys being nosy sitting in the cockpit of the boat watching the comings and goings wherever we are,” Bernadette told the Press Association. Sounds like the life to us! 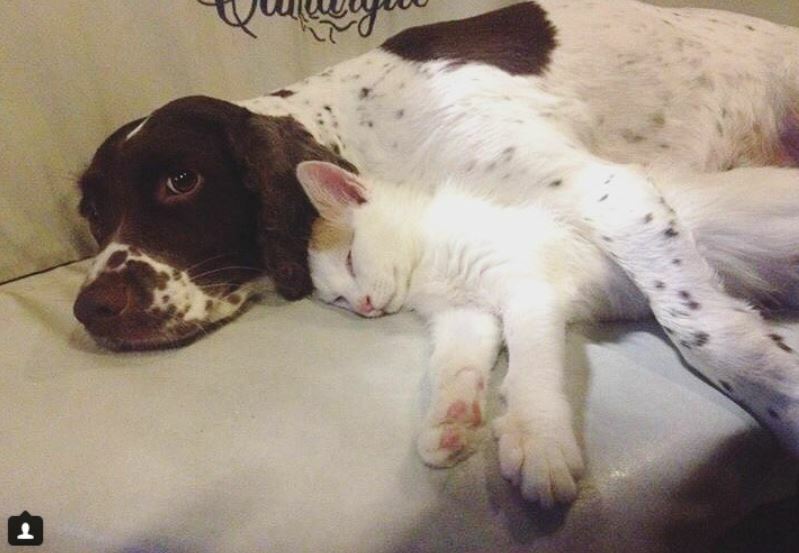 Follow Salty and Pippa on Instagram to stay up with all their adventures.